Kansas center Udoka Azubuike (35) reaches for a ball in the post during the second half, Saturday, March 17, 2018 in Wichita, Kan.
Wichita — The idea coming into KU’s second-round NCAA Tournament game at Intrust Bank Arena was for the top-seeded Jayhawks to keep injured center Udoka Azubuike on some sort of minutes restriction, somewhere in the 15- to 20-minute range. But when all was said and done, Azubuike exceeded that and flirted with playing even more. If he hadn’t, the Jayhawks might have lost. Thanks to 22 monster minutes by Azubuike and a huge night from sophomore guard Malik Newman (28 points on 8-of-14 shooting, including 8 of 8 from the free-throw line), Kansas topped No. 8 seed Seton Hall 83-79 and advanced to next week’s Sweet 16 for the third year in a row. It was not so much Azubuike’s numbers — 10 points, seven rebounds, two assists, two blocks and two steals in 22 minutes — that saved Kansas on Saturday. Instead, it was more of a matter of his Grand Canyon-sized impact on the game. With Seton Hall senior Angel Delgado bullying his way to 24 points and 23 rebounds — nine of them on the offensive end — the Jayhawks (29-7) needed more than starting five man Mitch Lightfoot’s 6-foot-8, 210-pound frame to give Delgado fits. Lightfoot did all he could, forcing a miss on Seton Hall’s first possession and ripping down a key defensive rebound late to put the brakes on the Seton Hall comeback. But Azubuike’s mere presence offered more, even with a big ol’ brace on his left knee, which had suffered a Grade 1 sprain of the MCL 11 days earlier. 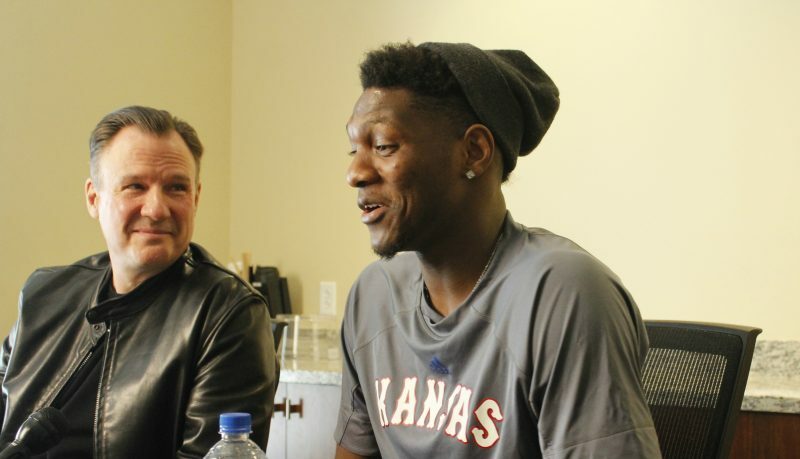 Going back even further, Kansas coach Bill Self said it was Azubuike’s work in the 10 days leading up to Saturday’s game as much as it was his willingness and ability to battle Delgado on Saturday night that led the Jayhawks into the next round. 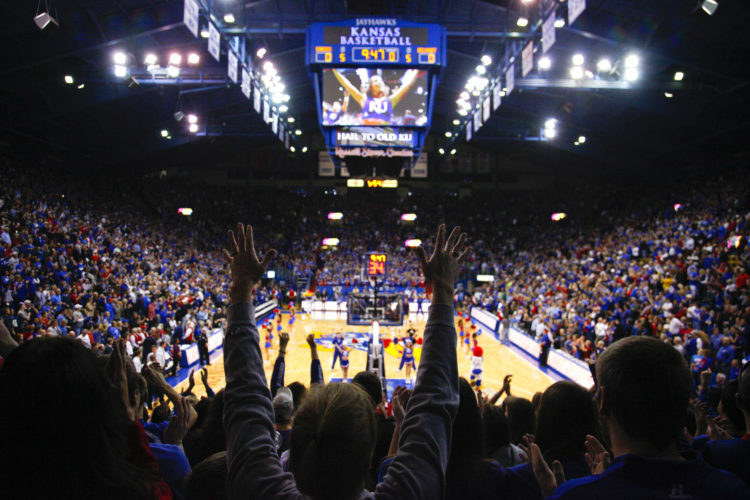 The Jayhawks never truly felt comfortable during Saturday’s game until the final horn sounded. 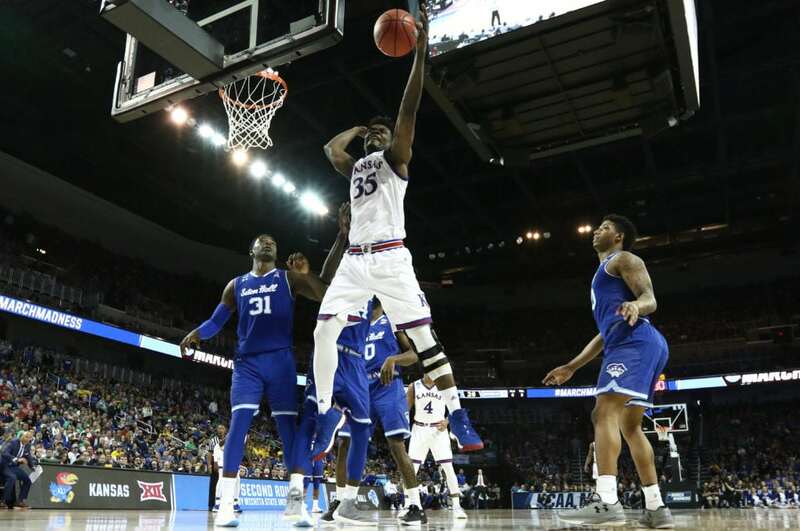 Both teams ripped off a number of 7-0 or 8-0 runs to build or cut into leads, and Seton Hall, despite trailing by eight with just more than a minute to play, trimmed KU’s lead to a single possession in the final 60 seconds. But there were a few things that led Azubuike to find his comfort zone that enabled him to play the monster role he played. The second was his ability to quickly find his form on a couple of rim-rattling slam dunks that both sent a message to Seton Hall (22-12) and lifted Azubuike’s spirits. 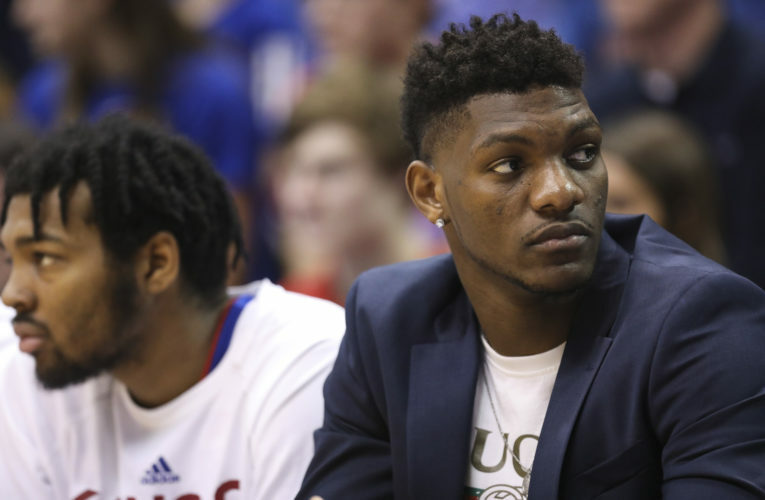 The third factor, and perhaps most important, was not measured by Azubuike’s numbers or the way they came, but rather in the intensity and focus on the big fella’s face. He slid hard and stayed engaged for entire possessions on defense. And posted up even harder and demanded the ball more times than he got it on offense. Such passion provided two key reminders for the Jayhawks — just how good they could be with their starting center playing at full speed and just how important it is to give him the ball when he wants it. Azubuike was on the bench for the final 2:34 of the game. Graham and Newman salted the game away at the free-throw line. But even then, as Seton Hall attempted to make one last furious rally, it was evident how different this team is with Azubuike on the floor. 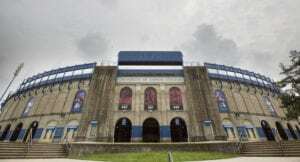 Self said after the game that he was hoping Azubuike could play 20 minutes and that his three minutes in Thursday’s victory over Penn were dished out with that in mind. “We were told that if he played a lot on Thursday he’d be too sore to play on Saturday, so try to limit him as much as possible,” he said. 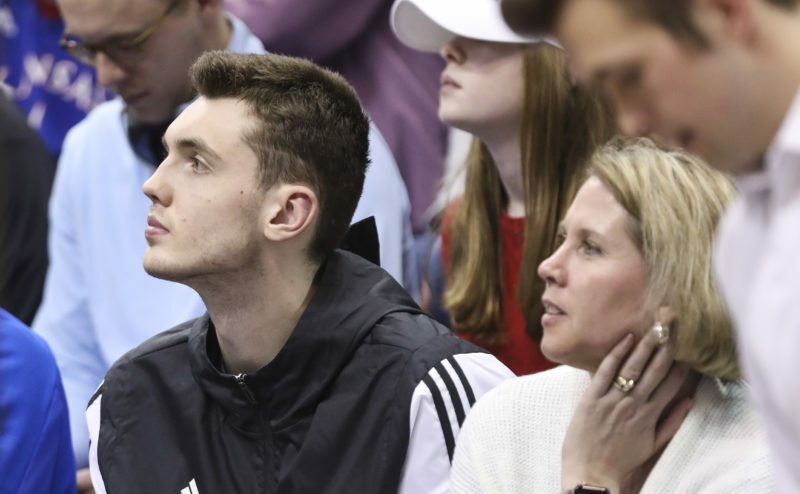 With the Jayhawks now having six days before their next game — against Sunday’s Clemson-Auburn winner on Friday in Omaha — the idea of their biggest player being that much closer to 100 percent for a crucial Sweet 16 game had everyone’s spirits high on Saturday night in Wichita. 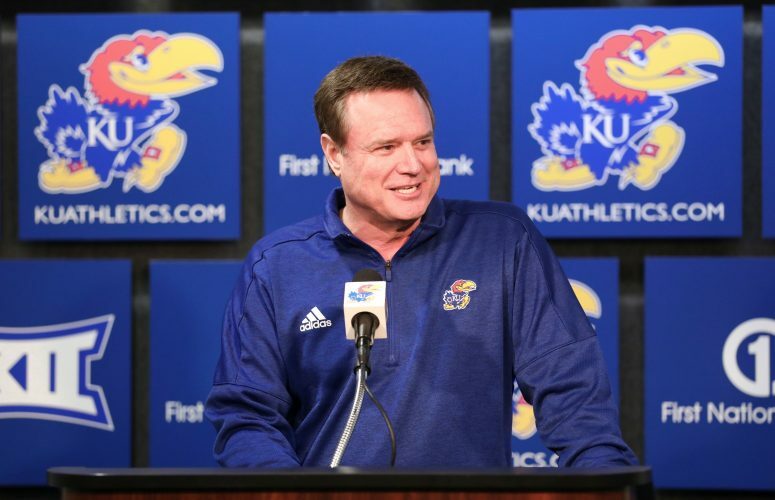 Said Self of KU’s return to the Sweet 16: “It feels great. It’s probably less celebratory because the game didn’t end the way we wanted it to, but it’s fantastic.